Schöma 0-4-0 5129 stands forlornly amidst other assorted narrow gauge equipment in the privately owned station yard at Hardingham, next to the Mid Norfolk Railway. 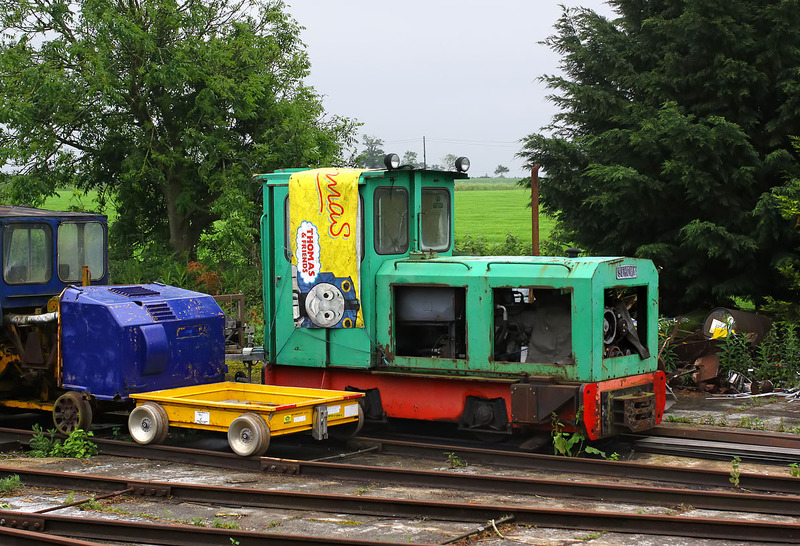 This 1990 built locomotive was formerly used at the Swinefleet and Hatfield Moors peat railways, which closed in 2000 and 2006 respectively. A nice reuse of a Thomas the Tank Engine banner! The picture was taken from the 13:45 Wymondham Abbey to Dereham DMU on 29 May 2014.